Privatisation of Indian banks ?.. some from China are eager to invest ! NiMo and Mallya were able to get loans and LoUs primarily from state banks who have incompetent/corrupt managers. The bigger private operators like HDFC and ICICI have not perpetuated scams of this scale and they are healthy banks. It's time to privatize PNB and other state banks and have only a couple of state bank entities. Private US banks caused so much havoc and the public ended up footing the bill and the QE and suppressed rates etc etc etc. The banks are so profitable again now...and guess who got scammed again. What is needed is robust regulation and oversight and a climate of zero tolerance for scamming. Not govt Vs private. Gus wrote: Private US banks caused so much havoc and the public ended up footing the bill and the QE and suppressed rates etc etc etc. The banks are so profitable again now...and guess who got scammed again. Wrong. In 2008-09, private banks in the US begged the US treasury to bail them out by $350 billion. Most of the big banks paid back the US treasury, the only big one that didn't was Citibank. That too a few banks were dissolved or bought out at liquidation rates such as BoA's acquisition of Merrill Lynch Bank and JP Morgan Chase acquisition of Bear Stearns. QE was a result of the need for economic stabilization. Some of these banks should have been liquidated instead of being bailed out, but the Ivy League buggers had their sway with government. Many regional banks in the US remained in good financial condition through out the crisis. The many state banks in India need to be consolidated and privatized over a period of time when good regulatory processes are in place. On another note, the various state banks in India have terrible retail servicing - the sarkari babus and madams are abysmal. I prefer to do business with HDFC and ICICI. It is incorrect to compare the 2008 crisis to the PNB scandal for the simple reason that the latter has political influence all over it while the former is just human greed. US banks gambled with depositors money and that can be fixed with regulation such as the glass-stegal act. The fact that legislation can be whittled down is another matter. But in the case of PNB et al., politicos were in cahoots to steal tax money for private profit. It’s absurd to compare the two. State banks need to be privatised for better efficiency and more transparency. Perhaps one can be retained for the sole purposes of serving retail customers and SMEs, no large corps should be on their books. It will limit the sizes of losses. JohnTitor wrote: It is incorrect to compare the 2008 crisis to the PNB scandal for the simple reason that the latter has political influence all over it while the former is just human greed. At this point in time there is little evidence to support the PNB scandal being politically influenced. It appears to be a case of an unscrupulous/greedy/unethical individual exploiting a corrupt and opaque system. Remember this scandal has straddled both regimes. Now it may turn out that your claim might indeed hold but that cannot be concluded as of now with the evidence available in the public domain. Its high time for this bank's MD to take vanvas, via the jail, of course. New Delhi: Even before the investigating agencies begin their probe, an in-house inquiry by state-owned Punjab National Bank (PNB), which was allegedly defrauded of Rs 11,360 crore by diamond merchant Nirav Modi and his maternal uncle Mehul Choksi, has given a clean chit to its auditors and blamed foreign branches of Indian banks. The PNB has also contradicted itself by admitting that there are several loopholes in Letters of Undertaking (LoUs), which could have been easily detected. In its latest complaint to the Central Bureau of Investigation (CBI), an exclusive copy of which is with Firstpost, the PNB gave vague responses to the investigators' questions and directed them to the in-house probe. Despite repeated attempts by Firstpost, PNB managing director Sunil Mehta could not be reached for comment. However, agency sources said, prima facie, there appears to be a complete operational failure on the part of supervisory officers, including PNB’s internal audit teams, and they would be summoned for questioning by investigators at an appropriate time. “Foreign Letters of Credit (FLC) issued to Gitanjali Group were entered in banking system though the transactions were in small amounts. But when it was credited by foreign branches of Indian banks, huge sums were shown on the record. It must have reflected in the monthly reconciliation report of the bank examined by the auditors with complete due diligence. In several previous NPA cases, we've noticed that attempts are made to protect big fish, but those guilty will be brought to justice,” CBI sources said. PNB told the CBI that Society for Worldwide Interbank Financial Telecommunication (SWIFT) system was misused to benefit Gitanjali Group of companies owned by Choksi for transactions related to FLCs, while admitting that they were registered in the core banking system. “The conniving officer (Gokulnath Shetty and Manoj Karat) also issued FLCs by entering a small amount in trade finance module of CBS system and generating the reference number and SWIFT message was sent for the amount. Subsequently, without making any change in trade finance module of CBS system, the conniving officer sent modified SWIFT message for enhanced amount under the same reference to the beneficiary bank. The beneficiary/ overseas suppliers had discounted the documents drawn under such FLCs (based on SWIFT message) with overseas banks,” the PNB told the CBI. Unauthorised LoUs worth Rs 3,032 crore and unauthorised FLCs amounting to Rs 1,854 crore were issued to Gitanjali group. The PNB sought to shift the blame on overseas branches of Indian banks: State Bank of India's Mauritius and Frankfurt branches, Bank of India’s Antwerp branch, Canara Bank's Bahrain branch, UCO Bank's Hong Kong branch and the to foreign branches of Union Bank of India, Axis Bank and Allahabad Bank for not raising alarm over fake LoUs. The PNB told the CBI that the Reserve Bank of India (RBI) prescribes that outstanding buyer's credit for import of semi-precious and precious stones, including pearls, should not be extended for more than 90 days. However, in most cases, the credit allowed under referred LoUs extended for a period much beyond 90 days: LoUs were established for around 360 days, the PNB stated. “This should have evoked suspicion in the minds of overseas branches of Indian banks extending buyer's credit. These banks never raised any alarm about RBI guidelines being violated and continued to provide funding against fraudulent LoUs," the PNB report stated. There is no documentary evidence to prove that these import transactions are bona fide trade transactions. Interestingly, the PNB in a statement on 16 February, claimed it decided to come down heavily on everyone involved in fraudulent activities to "pursue clean banking and reform agenda of the government". Among the three companies that CBI is probing, Gitanjali Gems Limited was issued LoUs worth Rs 2,144 crore, Gili India Limited Rs 566 crore and Nakshtra Brands Limited Rs 321 crore. The three companies were issued FLCs amounting to Rs 1,854 crore. Intesa Sanpaolo, a bank based in Hong Kong, also fell prey to the alleged scam. An FLC worth Rs 14.16 crore was issued to Gitanjali Gems. Between 2 March, 2017, and 14 March, 2017, thirty-three LoUs were issued for State Bank of India's Mauritius branch, the financing bank. On at least four occasions: 8, 9, 10 and 14 March, at least 5 and 7 LoUs were issued within a day in favour of Gitanjali Gems and Gili India Limited. The total exposure of SBI’s Mauritius branch is $42 million. Absolutely. This whole episode has reinforced once again to the Indian public that fraudsters and cheaters get their way with the economic system as they have the ability to buy out the bureaucracy and politicians. People like NiMo and Mallya need to be brought back and face fraud charges along with the bank officials who gave out the LoUs. There needs to be a trial in which the evidence is clearly presented and those guilty should face jail time. The confidence of the Indian people has been shaken where once again they will rightfully ask as to why they pay so much in taxes when the rich powerful get away with it. You have things mixed up. It's the US crisis that's political, and the Indian one that's not. 2007-08 was FAR more than just 'human greed' . It's a crisis created by politics, *unlike* the PNB case. The genesis of the 2008 crisis was years before - in the elimination of Glass-Steagall Act and its replacement with the Gramm-Leach-Bliley Act in 1999 by Clinton. You claim it can 'be fixed with' Glass Steagall Act. That's a claim marked by omission, deliberate or not. The Glass-Steagall Act was created in 1933 during the Great Depression, to firewall commercial and investment banking. It was - since the 1960s at least, watered down by successive *political* actions, mostly due to Wall St bankrolling politicians to do their bidding. And surprise - within under a decade of its elimination, the system catastrophically falls apart. Now onto PNB - there's no *political* cause in this fraud. RBI is responsible for regulating banking operations. Govt may have an ownership stake, but does't write the laws regarding whether SWIFT transactions are to be ledgered internally. That's a mundane banking policy regime within RBI's hands. What's more, RBI does say banks are supposed to do this a particular way. Some banks themselves didn't bother investing in doing so. There's nothing political in any of this. Incredible. Turns out, in addition to @vineetjaintimes' TOI group, the #PNBScam whistleblower had also approached @reliancegroup's TV18 group with his story. NOT A SINGLE media house carried it. Hari Prasad says that he detected a huge fraud in Gitanjali Gems in 2015 and alerted several authorities including ED, CBI and PMO but received no response. As the $1.8 billion Punjab National Bank (PNB) saga unfolds, Nirav Modi and Mehul Choksi are two names that are at the forefront of the entire scam. While Nirav Modi is said to have fled the country, Mehul Choksi denied involvement, saying he was falsely implicated. Choksi claimed that he retired from Diamond R US in 1999 and has had no association or dealing with it since then. Choksi is the maternal uncle of the prime accused Nirav Modi. However, it has now come to light that a Bengaluru-based businessman Hari Prasad had filed a complaint against Choksi and his group companies in 2015, after he was allegedly cheated by them. Prasad claims that he filed a criminal complaint with Bengaluru Police in 2015, following which he wrote to several authorities such as Enforcement Directorate (ED), Central Bureau of Investigation (CBI), Securities and Exchange Board of India (SEBI), Ministry of Corporate Affairs and eventually the PMO next year. In the letter, Hari Prasad alleged that Choksi siphoned off thousands of crores out of India. He further alleged that there were deficiencies in its balance sheets. With 31 banks extending loans to Gitanjali Group, Prasad wrote that the company had taken loans to the tune of Rs 9,872 crores with meagre assets of just Rs 25-30 crores, alerting the PMO that this was definitely going to become a non-performing asset (NPA) soon. Speaking to The News Minute, Hari Prasad says that he detected a huge fraud in the company after he was cheated of nearly Rs 10 crore by Gitanjali Gems. And it’s not just him. At least 20 people and about 50 across the country fell prey to this fraud, he claims. How did Mehul Choksi and Gitanjali Gems cheat you? During 2011-12, Gitanjali Gems ran huge advertisements inviting franchisee investors with the promise of attractive returns on investments. The biggest attraction was that Gitanjali would manage all operations and the franchise owner would get minimum guaranteed returns or profit margins, whichever was higher. And as security, they would give us their jewellery to sell in the shop. I invested an initial amount of Rs 10 crore and they asked me to set up shop for them. I invested in the shop as well. After this, they promised to give Rs 5.5 lakh to cover the rent of the shop and Rs 10 lakh per month above that. So, I was supposed to get Rs 15-16 lakh every month after my investment. But they defaulted on all agreements they made, from day one. They never supplied the goods as per the agreement nor paid rent. They dumped old stock with inflated prices and never responded afterwards. I ran behind them for nearly one and half years before shutting shop by end of 2013-14. When did you first file a complaint? I filed a criminal complaint with the Bengaluru police in 2015 against Choksi and his group companies. They initially tried to investigate and then reported that there was no criminality involved. I tried to challenge this in court but the case has been dragging on since then, over loopholes and some technicalities. The case was transferred to CID Bengaluru, which initially took some interest. But that also went into cold storage for reasons I don’t know. And then you wrote to higher authorities? I wrote to all agencies concerned (ED, CBI, SEBI) in early 2016 to look into the matter seriously because there is a fraud, but nobody took any action. So, then I finally wrote to the Prime Minister’s Office (PMO). Did the PMO take any action? I received an acknowledgement letter from the PMO. It won’t take action on everything we write, I understand that. They forwarded it to Registrar of Companies (RoC) to look into the matter. It’s the duty of ROC to look into details or contact me and ask me more questions to understand why I’m making these allegations. But nobody did anything. I can’t blame PMO, it did its job of forwarding the complaint. PM can’t get involved in everything. A system has been created and it has to get involved. But the system is not good enough. Did you hear from RoC? Was any action taken? No. I received an email from ROC on July 18, 2016 stating that my grievance has been ‘disposed of’. I don’t know what ‘disposed of’ meant, but no action was taken. I tried to connect with them after that but no one responded. I thought this is probably how Indian systems work or maybe they are compromised somewhere, because I remember Choksi himself telling me that they know how to manage these things. Did you also write to the media? If so, did you get a response? I wrote to TV18 and many other agencies. But nobody took note. In fact, TV9 Kannada and TV9 Gujarat came and took my interview. They even took interviews from other victims of the fraud. These interviews were never published. I can’t give an opinion on this because I don’t understand politics. It’s a fact that they have cheated, but under whose nose? I don’t think political parties are involved in the cheating. It’s a businessman who, with the help of some bank officials, has cheated the country. Mort Walker wrote: Wrong. In 2008-09, private banks in the US begged the US treasury to bail them out by $350 billion. Most of the big banks paid back the US treasury, the only big one that didn't was Citibank. That too a few banks were dissolved or bought out at liquidation rates such as BoA's acquisition of Merrill Lynch Bank and JP Morgan Chase acquisition of Bear Stearns. QE was a result of the need for economic stabilization. Some of these banks should have been liquidated instead of being bailed out, but the Ivy League buggers had their sway with government. Many regional banks in the US remained in good financial condition through out the crisis. The whole "US big banks mostly paid back their bailout loans" is mostly nandi droppings. Yes, technically they got money and paid it back. They got *public money* to bail them out of their *privately accrued* losses. What's more, they played this fully knowing they could scare GOTUS into bailing them out. That's one piece of moral hazard right there. What's more, that same public money was eroded in value in the process, through an absolute pittance of a deposit rate. That's a second. Deposit rates are still not above ~1-1.25% ? How many millions of people had to do without billions in lost earnings on their savings of several kinds, because progressive monetary loosening done in cahoots between the Fed and the banks drove down interest rates so far down ? It took a decade for aggregate US household wealth just to match mid 2000s level again. At least in the Indian case, the situation is less about deliberately dangerous/stupid legislation causing harm (and they didn't even bother remembering the lessons of depression history), and merely about lack of adherence to existing banking rules from RBI, combined with poor administration and technological base of the PSBs. These are arguably far easier to fix properly than the US case, where there's no guarantee than they'll forget the lessons of history all over again. US deposit rates have been abysmally low since the mid 1990s. It was not a consequence of the 2008 financial bailout of banks. This has forced savers into more risky investments such as the stock market and real estate. Why continually blame people like NiMo when bank officials didn’t follow their own practices? NiMo knew they were corruptable and took that path. MUMBAI (Reuters) - India's Reliance Industries Ltd and global technology companies will invest 600 billion rupees ($9.34 billion) over 10 years to set up an integrated industrial area in the western state of Maharashtra, the company's chairman Mukesh Ambani said. More than 20 global firms including Cisco, Siemens, Corning Inc., HP, Dell, Nokia and Nvidia had agreed to invest in the project with Reliance, India's largest listed company by market value, he said. "When we contacted globally reputed technology companies to participate in this initiative, we received an instant and enthusiastic response," Ambani said. Reliance entered the telecoms business in September 2016, upending the sector with cut-price data and free voice service. Reliance has invested more than $30 billion in it telecoms unit Jio. Mort Walker wrote: US deposit rates have been abysmally low since the mid 1990s. It was not a consequence of the 2008 financial bailout of banks. This has forced savers into more risky investments such as the stock market and real estate. That’s exactly the timeframe when Glass Steagall Act was entirely eliminated! That 'easy money' before the crash ? That's the money cheaply appropriated from savers! Even the 2-5% rates before the mid 2000% is preferable compared to what has passed since . Interest rates compound, so linear thought processes like ‘its only an extra 2-3%’ are irrelevant. The claim that ‘banks have paid back the bailouts’ is just thoughtless nonsense regurgitated from US mainstream press trying to brainwash the population into accepting what happened was normal or fine . It’s not normal that they received money in the first place, or that their actions have constituted theft from the savers for years now . Their entire set of actions were filled with moral hazards, backed by decades of political actions undermining an important act their grandparents generation wrote. And guess what - as soon as the act was gone, the house of cards fell apart . Please don’t waste your time derailing this thread further. For one you’re talking US economy and for another , it’s not even accurate . Last edited by Suraj on 19 Feb 2018 23:03, edited 1 time in total. As expected, the government goes after RBI asking "what the hell were you doing all this while ?" The government sets up the RBI with powers to oversee the banking system, and even complaints and whistleblower notices go to the RBI to perform actionable steps. The Union government has shot off a letter to the Reserve Bank of India (RBI) on the alleged Rs 114-billion Punjab National Bank (PNB) scam, asking whether at any stage the banking regulator had detected the fraud, involving letters of undertaking (LoUs) issued to foreign branches of Indian banks on behalf of companies promoted by Nirav Modi and Mehul Choksi. “Under the Banking Regulation Act, the RBI has a major role related to inspection, regulation, audit and the oversight of banks. We have written to the RBI, asking how the alleged scam, which had been going on for years, went undetected, and whether the regulator exercised its role under the law,” an official said on condition of anonymity. The government’s missive comes days after the chief economic advisor (CEA), Arvind Subramanian, raised questions over external controls of the RBI. In its letter, the finance ministry has pointed to sections 35, 35A and 36 of the Banking Regulation Act, 1949, to highlight the powers and functions of the RBI as regulator. The ministry has also asked the RBI whether it has inspected the banks involved in the alleged scam to secure compliance through Section 12 of the Foreign Exchange Management Act, 1999. It has further asked the central bank to review its present rules and regulations as a follow-up action so that such incidents do not recur, according to sources. So far, the RBI has issued one public statement, blaming the internal controls of PNB for the alleged fraud. “The fraud in PNB is a case of operational risk arising on account of delinquent behaviour by one or more employees of the bank, and the failure of internal controls. The RBI has already undertaken a supervisory assessment of control systems in PNB and will take appropriate supervisory action,” it said on February 16. The government has said the RBI has the mandate to inspect any bank, its books and accounts under Section 35 of the Banking Regulation Act. “The RBI at any point of time can scrutinise a bank and its books. We have asked whether the regulator did so, and if it is planning to initiate any action under the law,” the official quoted above said. What actually happened in PNB scam? Let’s start from the concept. What actually happened in PNB scam? Let’s start from the concept. Let’s understand how things work. bank, say Punjab National Bank (PNB). PNB says look, I’ll give you a loan but it will be like at 10%. NM. They don’t have any history of NM, so why will they give him money? my loan by giving me a “Letter of Undertaking” (LOU). you give me stuff worth 110 cr. at least. As collateral. guarantee it. And the foreign bank trusts PNB. Why does it trust PNB? effectively – that says PNB will pay if NM doesn’t pay. PNB’s nostro account gets the money. India usually, to fund a purchase of diamonds or whatever. guarantee on the SWIFT channel. So What Happens When It’s Time To Pay Back? NM has to get the pearls in India, sell them, receive the money and pay PNB. On the due date written on the LoU. money so we’re giving it back to you. With interest etc. markets. Or do something else. What if NM in the above example simply didn’t have the money to pay back? $11 million to cover the interest on the first. over of credit. Over and over. Standard definition of a ponzi scheme. This can easily balloon into a larger amount, so large that it’s too much. one LoU being opened to repay another and so on. Which is what is likely to have happened. Then someone said, “Abeyaar, is there more of these not-in-system LoUs? That’s a lot of crores. Everyone in the bank panicked. required in order to stay current. sold that collateral and paid the foreign bank. But, and here’s the real issue: PNB didn’t have any collateral. Why did PNB give a guarantee without collateral? they would ask for collateral. Because nearly every bank is doing it. an LC or an LoU. in the eyes of PNB it was always an “non-fund-based” loan. against non-fund-based limits given to importing customers. unfunded liabilities are not even reported to RBI! The funded exposure to “Gems and Jewellery” is shown at 1860 cr. Unfunded to the same sector: 842 cr. Did Employees Hide it? Was PNB Responsible or was it a fraud? without top management realizing it? asked by someone who audits accounts, one thinks? more such skeletons will tumble if they do? it generated massive, fat fees for PNB all these years. What’s the Scale of this scam? loss amount will be lesser. to pay if there is a default. looking – and we know that Nirav Modi will not be an isolated case. against them (say at least 25%) then the scale would be absolutely massive. every other bank (and import account) in the system. scale is many times larger. What about the PNB stock? It’s fallen 17%. But note that it already has 60,000 cr. of gross NPAs. shareholder of a public sector bank you’re used to suffering. similarly tarnished once they investigate. Will This Bring The Market Down? But the one thing that does bring markets down is the outflow of liquidity. bonds. Short term it will have to be. This is the Indian public sector banking system. Fix it. How can you have transactions on SWIFT outside CBS? Fix it. these companies insolvent. Take the hit, and try to recover. collateral to avoid further spread of the ponzi. K Nageshwar, Feb 20, 2018. Corporate frauds like the Nirav Modi scam, phenomenal rise in non-performing assets (NPAs), new provisions like bail-in under Financial Resolution and Deposit Insurance (FRDI) regime are a multi-pronged conspiracy aimed at weakening India's predominantly public-owned banking system. This would result in corporate appropriation of public savings besides diverting household savings into speculative investment to fuel market bubbles. Thus, the Nirav Modi scam is not an aberration. The complex interlinkages in the multitude of processes and policies need to be unravelled. Domestic savings, domestic investment and domestic market are the three pillars of Indian economy and were mainly responsible for largely insulating it from the contagion effect of global financial crisis. The banks account for 70 percent of India's household savings, indicating the credibility they enjoy. Public sector banks account for a lion's share of these household bank savings. Thus, the public ownership of India's financial system greatly contributed to the stability in India's banking system despite problems of work culture and associated irritants. [/color] This was even acknowledged by the then prime minister and the messiah of free market reforms Manmohan Singh in his address to the G-20 summit. There is a systematic attack on India's public-owned financial system. This is not a policy aberration, but, an orchestrated attempt to erode people's confidence in the Indian banking system. Firstly, the mounting NPAs and the RBI guidelines to make suitable provisions for such bad loans are seriously eroding the profitability and thereby the viability of these banks. While the common man saves his earnings in these banks, the corporates appropriate these savings. This is evident from the fact that the big corporates account for the major chunk of NPAs in Indian banks, especially the public sector banks. 12 of the largest corporate defaulters, whose names are yet to be officially revealed, account for around a quarter of the NPAs in the commercial banking system. As noted economist CP Chandrasekhar writes in Frontline,"When the ratio of stressed assets to gross advances in the banking system has crossed the double-digit mark, or when stressed assets are a large proportion of outstanding advances, a few borrowers account for a large share of defaults. This suggests that banks have been willing to build their loan books with a large share of advances to some borrowers, who it is now clear were potential defaulters. " It is difficult to believe that this can be the result of only fraudulent decision-making by few incompetent or corrupt bank officials. All these big borrowers enjoy political patronage irrespective of which party or coalition rules the nation. Thus, politician, business man, bureaucrat, criminal nexus operates so blatantly in the financial system too. This is more evident if one looks at the recurring incidents of increasing number of corporate frauds happening in India's premier banks. The Nirav Modi episode and its manifestation is one such latest example. A middle class law abiding citizen with clear repaying capacity finds it difficult to get a bank loan even after mortgaging his assets which are worth much more than the loan amount. A farmer has to commit suicide when he is named and shamed by banks for not being able to repay his few thousands loan as the nature and market cripple his livelihood. But, Nirav Modi and the likes can easily get away for years together by taking LOUs to the tune of thousands of crores, bypassing the core banking solutions and regulatory supervision. 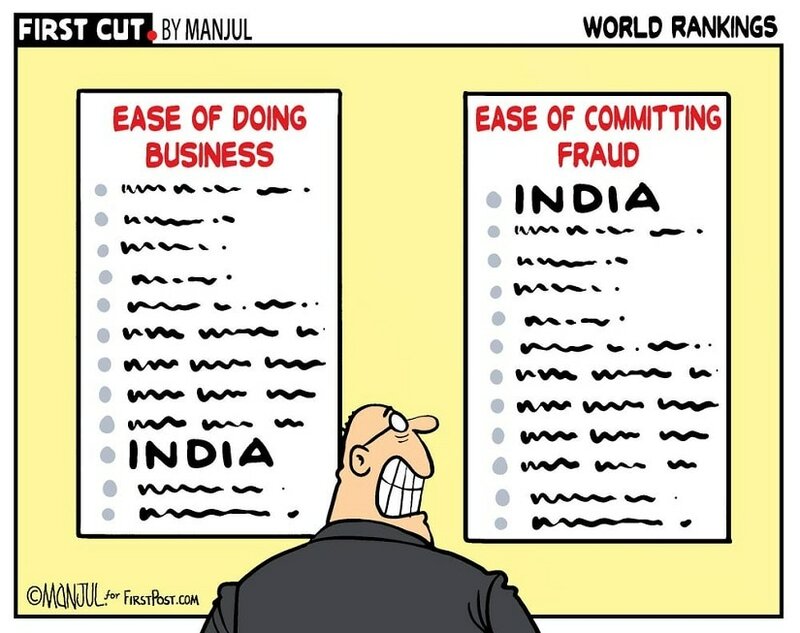 The concurrent audit, internal audit, external audit, random audit and finally even the RBI audit fail to either prevent it or notice such sinister machinations by Nirav Modi & Co, catapulting India into high ranks in 'ease of committing fraud index'. Should the citizen of India believe that all this is a mere aberration and a crime committed by few individuals? It is a systemic malaise aimed at eroding the confidence of people in India's banking system, especially the public sector banks. Despite mounting bad loans, the perception that the liabilities of these banks are backed by a sovereign guarantee has prevented a run on these banks. The controversial bail in provisions and the talk of hair cut in the Financial Resolution and Deposit Insurance (FRDI) bill 2017 precisely aims at destroying this public perception. Surprisingly, the corporates who are playing havoc with these financial institutions with their bad repaying behaviour and fraudulent practices are the beneficiaries of their consequences too. The deteriorating financial health of public sector banks is concomitant with policies that allow industrial houses to own banks. Such a measure would lead to further and more direct appropriation of public savings through connected lending. Meanwhile, the loss of credibility for the banks would result in diversion of household savings into speculative sectors like capital markets. The average Indian is away from equities market due to its volatility and the inherent risks associated with it. But the major objective of weakening the banking system is to fuel investments in stock markets. This will create more stock market bubbles as the equities do not reflect the real economic trends. If a corporate house wants to set up an industry by borrowing from a bank, it has to pay interest and show collaterals. The raising of resources in the stock markets does not need all this. Thus, diversion of people's savings from banks to stock markets would offer the big business houses with abundant and cheap fiscal resources. But, such an eventuality would deprive Indian economy of much-needed financial intermediation to sustain its broad-based economic growth and put the hard-earned household savings at the mercy of rapacious bulls and bears. Mumbai: Nirav Modi, the kingpin behind the largest banking scam in the country's history, has said Punjab National Bank's overzealousness has shut the doors on his ability to clear the dues, which he claimed is much lower than the bank has gone public with. In a letter Modi wrote on 15/16 February to the PNB management, he pegged the amount his companies owes to the bank under Rs 5,000 crore. "The erroneously cited liability resulted in a media frenzy which led to immediate search and seizure of operations, and which in turn resulted in Firestar International and Firestar Diamond International effectively ceasing to be going-concerns," he wrote. "This thereby jeopardised our ability to discharge the dues of the group to the banks," Modi, who left the country along with his family in the first week of January, wrote in the letter. "In the anxiety to recover your dues immediately, despite my offer (on 13 February, a day before the public announcement, and on 15 February), your actions have destroyed my brand and the business and have now restricted your ability to recover all the dues leaving a trail of unpaid debts,"he said. The letter also refers to the extended discussions between him, and between his representatives and the bank officers and also his emails on 13 and 15 February. It can be noted that PNB, the second largest State-run bank, had on 14 February informed the exchanges of detecting a $1.77 billion fraud at its Brady House branch in Mumbai's Horniman Circle area and named the firms led by Modi and his uncle Mehul Choksi's Gitanjali Group and some other diamond and jewelry merchants as suspects. The bank has also filed criminal complaints with CBI and the ED, both of which launched nationwide searches on dozens of offices and residences of the alleged fraudsters. The bank has named Modi's brother, his American wife Ami, and uncle Choksi besides some others in the FIR. On the over Rs 11,000-crore loss claimed by PNB in the FIR, Modi said, "As you are aware, this is entirely incorrect and the liability of the Nirav Modi Group is substantially less. Even after your complaint was filed, in good faith I wrote to you saying please sell/allow me to sell Firestar Group, or their valuable assets, and recover the dues not just from Firestar Group, but also from the three firms." Valuing his domestic business at around Rs 6,500 crore, he said "this could have helped reduce/discharge the debt to the banking system", but quickly added that this is not possible as all his bank accounts have been frozen and assets have been sealed or seized. He added that PBN had time and again acknowledged that "the buyers credit facility has been extended by it to the three partnership firms since several years; that there has been no default on the part of any of these firms over all these years; that money has gone through PNB over all these years for the repayments of the advances given by the overseas bank branches under the buyers credit". "That Firestar International and Firestar Diamond International have never been in default to any bank, and the bankers are fully secured," he added. He also said that PNB has over the years been earning bank charges to the tune of crores of rupees on the buyers credit facility extended by PNB to the three partnership firms, and that PNB has extended the money to the firm's buyers as well from where also it has been receiving full payments, with interest and on time all, these years. On the valuables that CBI/ED searches yielded Rs 5,649 crore, he said "these, and other assets of the group and the three firms could have settled all the amounts due to banks. However, now that stage appears to have passed". He concluded by requesting the bank to "be fair, and support my efforts to make good all the amounts that are found due by my group to all banks". Owning up everything, he said the bank has wrongly named his brother, who is not at all concerned with the operations of the three firms or other companies. "My wife is not connected with any business operations at all and she has been wrongly named. My uncle is also wrongly named in this complaint since he has an independent and unconnected business and none of them are aware or concerned with my dealings with your bank," he said. "Whatever may be the consequences I may face for my actions, the haste was, in my humble submission, unwarranted," Modi conludes and makes has requested the bank to permit payment of salaries to 2,200 employees from the balance lying in the current accounts. chetak wrote: What actually happened in PNB scam? Let’s start from the concept. This was written by Deepak Shenoy of CapitalMind. Got forwarded on social media without due credits. The arrests of Gokulnath Shetty and Manoj Kharat, the former deputy manager and single window manager respectively at Punjab National Bank (PNB), make it sounds like the Rs 11,400 crore bank fraud that was executed using the issuance of fake Letter of Understandings (LoU) to billionaire jewellery maker Nirav Modi was an act of fraud and only that. But one will miss the larger problem if the case is looked at this way. The happenings at PNB are reminiscent of the Winsome Diamonds fraud that took place a few years ago. It raises many questions. To begin with, a fraud of this magnitude can happen only when everybody — including bank officials, auditors of various persuasions and regulators — keep their eyes shut and let the act develop. One of the major points that has come out of this case is that SWIFT platform was not linked to CBS (core banking system), that is why the junior official could put through transactions without them being reflected in branch accounts. • In every SWIFT input transaction, at least three officials are involved: Maker, checker and authoriser. A single person cannot authorise any LOU. Then how did this fraud happen? • A daily report is generated by the SWIFT system wherein all incoming and outgoing messages, financial as well as non-financial, are reflected. All financial transactions appearing on this list are ticked/tallied with CBS. What happened to these reports? • All vouchers generated, including those related to contingent liability on account of LOU, in the branch are required to be manually verified with the system generated reports. Did this too fail? • Every Nostro account has a mirror account in the home branch. As per normal banking practice, the credits and debits appearing in the Nostro account are reconciled on a daily basis. Thus, the credits afforded by the LOU discounting banks needed to be checked daily. The absence of a contra contingent liability in the CBS would have shown-up on the very next day, had daily reconciliation been done diligently. • Even if the compromised officials had been inputting unauthorised SWIFT messages, they must have been recovering the commission/fee/charges on such transactions. The appearance of such a huge income without an underlying transaction should have raised red flags as to the source of revenue, and a consequent search would have revealed the fraud. • For transactions conducted until a year ago, at the maturity of LAU, some account (most probably borrower's) would have been debited to reimburse the overseas bank for the lending made to PNB under various LOUs. It should have raised suspicion as reimbursement was being made without a contra appearing in PNB books. • The movement and build-up of contingent liability volumes of the branch should have been monitored by the branch's top management and controllers on the basis of weekly/monthly/quarterly reports. • As the said fraudulent transactions have been going on for several years, what have the plethora of auditors/inspectors been doing? Typically, the branch is subjected to concurrent audit, quarterly statutory audit by external auditors (reputed chartered accountancy firms) appointed by the RBI, periodic internal audit by HO auditors/inspectors, RBI Audit under Section 35 and FEMA Audit. None of these could point out the irregularity. Irrespective of whether transactions at PNB was an act of fraud or irregularity, bank's liabilities towards counter-party banks is absolute and it will have to make good the loss. As is evident, the said fraudulent transactions could have been detected at any stage by following the laid down systems and procedures. But apparently the safeguards built in the system had been neglected. It seems that entire hierarchy was in the know of the developments and exposures were taken with their tacit concurrence. A low-level officer cannot indulge in such voluminous transactions without go ahead from the higher-ups, who could anyway have checked the subordinates at any point of time as all transactional information was available on the tap. The bottomline is this: There are many unanswered questions in the Rs 11,400 crore PNB fraud case. The role of regulator and auditors that helped the fraud to happen needs to be probed in detail. The arrest of one or two middle-level employees would be akin to treating the symptoms of disease and failing to notice the deeper rot. This fraud brings to light the "too big to fail" argument. For PNB, this may even be survival risk. I wonder if they ever consider the total exposure they have to one entity or promotor. Seems all decisions are at a branch level and there isn't any centralised credit risk management. For this alone the senior management must be arrested as we're talking about tax-payers' money here. They failed in their fiduciary duties. JTull wrote: This fraud brings to light the "too big to fail" argument. For PNB, this may even be survival risk. I wonder if they ever consider the total exposure they have to one entity or promotor. Seems all decisions are at a branch level and there isn't any centralised credit risk management. For this alone the senior management must be arrested as we're talking about tax-payers' money here. They failed in their fiduciary duties. One seriously doubts whether a "scam" of this nature, long standing and repetitive in occurrence, where the branch processes were audited many dozens of times by multiple agencies including "independent" external third party and statutory auditors as well as mandatorily audited by regulators can be, by any stretch of the imagination be labelled as being at the branch level. There is clear evidence from whistleblowers that officials and baboo(n)s at various levels actively headed off or even actively suppressed the very idea of an investigation into this matter. Its too complex a scam to be run surreptitiously, just by a clerk and chowkidar type who fired up the old laptop when all the others had gone home for the day. Its malicious theft and malfeasance on an industrial scale. Not merely some hole in the wall "systemic" failure or just some unfortunate aberration as is being sought to be made out so that all further investigation dies a natural and short lived death and everyone moves on. our smooth talking, limelight seeking, publicity hunting FINMIN types are all suspiciously very very quiet. “Ravi Subramanian ‘s fictional book (In The Name of God – Penguin) that released last year was about a banking fraud story. The main fraudster was a powerful jewelry trader by the name Nirav Choksi. Nirav Choksi was India’s most exclusive jeweler whose high flying clientele included half of Hollywood and India’s socialites. chetak wrote: our smooth talking, limelight seeking, publicity hunting FINMIN types are all suspiciously very very quiet. Please avoid this kind of rhetoric here. There's been multiple articles posted about GoI's response, within the last two days. This sort of indignant muckraking is not welcome on this thread. It simply serves to get people emotional and contributes nothing useful. The Reserve Bank of India on Tuesday said it had alerted unidentified banks about the need to prevent any "potential malicious use of the SWIFT infrastructure" at least three times since August 2016, but added lenders had not fully implemented all of the required measures. The statement comes as the RBI has been under the spotlight after Punjab National Bank disclosed last week it had been hit by a $1.77 billion loan fraud. The RBI added it had mandated lenders on Tuesday to implement measures to strengthen their oversight of the SWIFT financial platform. He reminded the public sector banks that Prime Minister Narendra Modi gave managements the autonomy they needed with none from the government calling. "When authority is given to the managements you are expected to utilise that authority effectively and in a right manner. Therefore the question for the management itself is were they found lacking? And on the face of it the answer seems yes they were," he said. The lenders, he said, were "unable to check who amongst them were delinquent". He went on to ask what the auditors were doing. "Both internal and external auditors really have looked the other way or failed to detect," he said. Chartered accountants and those who control the discipline, should start introspection and "say what legitimate actions are to be taken", he said. "And also there is an important challenge where the supervisory agencies are now to introspect as what are the additional mechanisms they have to put in place to ensure that stray cases don't become a pattern again," he said. "And stray cases are nipped in the bud and an example be made out of people that these bad examples itself are never to be repeated." Private companies would now be able to mine and sell coal in India, alongside state-owned Coal India Limited. Four years after enabling commercial mining and sale of coal through the Coal Ordinance (Special Provisions), 2014, the Cabinet on Tuesday approved bidding process for commercial mining. Commercial mining enables sale of coal in open market as a commodity, with price determined by the market. Coal India has been the major commercial miner in India for 41 years and has a market share of 80 per cent. Another player is Singareni Collieries, a venture of Coal India and the Telangana government. Balance coal requirement is met through imports and production from captive mines. My question to Jaitley and Modi then is will they now haul the management of these PSB's and make them accountable? This government made a decision in its initial years to infuse bank management with outside talent. The unions howled and the government backed down. We were promised that recapitalizing the banks for their "past" NPA's was a one-time affair and this type of fraud will not be repeated. I am not interested in knowing, when this fraud started, the buck to stop this type of massive fraud is the current governments and 3.5 years into its rule, it looks stupid to blame previous governments. The PSB unions resist privatization for a reason. The culture of loot and lack of accountability pervades the system. Good intent and even good people cannot fight a structural issue. A structure that is designed to trip. Good people are most productive in a structure that has least incentives for fraud and corruption and strong accountabilities. Even the best of systems are bound to trip but it is a question of a structure with the most natural accountabilities. If this is not a wake-up call for GoI to privatize and change the fundamental structure, do not know what is. So Jaitley is sticking his neck out and refers this as 'stray cases' ...hope for the sake of him, or more importantly for the sake of nation, that is true. Vivek K wrote: I was told this by a farmer in Haryana in the late 90s - instead of free power, he wanted power of the correct voltage. Every year he said that his motor (for the irrigation system) went out at least once because of low voltage. It cost him (in the 90s) 6-7 thousand to fix the motor - more than paying for power @ Rs 2.50 per unit. Free power doesn't help the farmer and since industries end up paying for the politicians' generosity, it hurts industry with a BROAD brush. So India needs to use its money wisely - not throw it away because spoilt, corrupt armed forces want shiny new imported toys (in place of perfectly good, less shiny indian systems). The voltage goes down due to people stealing the power! Just to be clear, when i say management, it has to be the very top, none of this branch manager, SWIFT coder, etc, including RBI managers!! We need to see massive arrests and a dire message sent. People involved in such activities, that is borrowers, influance peddlers, and the bank officials who over see such shady transactions should be declared as economic terrorists and all such cases should be handled by speial anti terror courts. No trial should be allowed to go more then 90 days, and all cases should have a binary outcome innocent or deaths by hanging (plus all property confiscated). All three Malya, Nirav and this Kothari should be on the hit list of RAW. 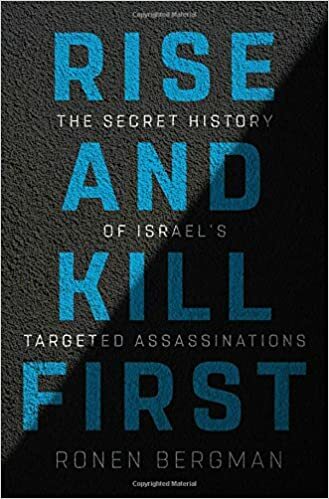 We need to work like Mossad! Isn't there an equivalent to chapter 11 bankruptcy law in India? Chapter 11 bankruptcy is intended primarily for the reorganization of businesses with heavy debt burdens, most often associated with corporations but available to small businesses as well. Although it's uncommon, consumers may file for Chapter 11 in some rare instances. Chapter 11 allows the debtor to propose a plan for profitability post-bankruptcy, which may include trimming costs and seeking new sources of revenue or income, while temporarily holding creditors at bay. In contrast, Chapter 7 bankruptcy (often referred to as a liquidation) involves the closure of the debtor business and the sale of liquid assets to repay creditors. While Chapter 11 has certain advantages for those that qualify, including more time to file a plan and the opportunity to reorganize, it is more time-consuming and costly than other forms of bankruptcy. Chapter 11 is not meant to be an alternative to criminal prosecution for scamsters. Saddening that white collar crime is equated to genocide. Now on this thread are we saying that the scamsters enabled by communist policy are causing pogroms? disha wrote: Saddening that white collar crime is equated to genocide. They have it coming for shamelessly thumbing their noses at their motherland. It isn't just white collar crime, but treason as they have escaped abroad and have the temerity to taunt us from there. Ordinary white collar crime where the person stands trial in India would not evoke such a reaction at all. And it is mass murder in a sense - in a country with desperately poor areas where people are dying for lack of ambulances and health care and farmers commit suicide due to crop failures, $1.7B of money lost by GOI = lives lost. Regardless, this isn’t the place to act like Rambo and call for killing of people . Put a lid on such nonsense . If you need to vent , get yourself a punching bag. Don’t misuse a moderated private forum . We were promised that recapitalizing the banks for their "past" NPA's was a one-time affair and this type of fraud will not be repeated. I am not interested in knowing, when this fraud started, the buck to stop this type of massive fraud is the current governments and 3.5 years into its rule, it looks stupid to blame previous governments. The PSB unions resist privatization for a reason. The culture of loot and lack of accountability pervades the system. As I analyzed these cases (NiMo, Mallya, LalitMo etc. ), what I couldn’t digest were the observations that how easily these accused have the ability to settle themselves and their families abroad (of course having lot of money helps), how conveniently these people are intimated so they can leave the country ahead of matter becoming public, conveniently their cases eventually fade from public memory, and all this without the name of any senior bureaucrat or politician coming out in open (yeah some low level employees get thrown under the bus). Politicians blaming each other, BJP says it started during Congress time, Congress says it is BJPs fault, GoI says it is RBI’s fault etc. etc. I find it hard to believe, given GoI's casual approach to such cases, that middle level bureaucracy and politicians of all parties don't know what is going on. Who knows who is getting paid behind the scenes? 6000 cr of jewelry and diamonds confiscated. Isn't it amazing that a government that will otherwise take weeks to respond to an ordinary citizen's inquiry, knows in 2-3 days the net worth of all property confiscated from NiMo. Banks are eventually recapitalized and NPAs are written off. How convenient!! Too good to be true, no?? What are the chances that scamsters (NiMo, Mallya, LaMo etc.) are themselves scammed by even the biggest daddy scamster of all, bureaucracy, while average abduls like us are kept distracted by 24x7 MSM? Leveraged US banks used to borrow near zero interest money from Fed and lent it back to govt at higher interest and made money, which was then used to settle bailouts. That is hardly a template to be followed in India. Bottom line is money attracts greed. it does not matter govt or private. In India, politicians appoint directors and force them to lend money to favored businessmen and then help them out with loan defaults and allow businessman to buyback their assets using another front. In US, businessmen lobby politicians to make rules favorable for them. The govt regulators are in a revolving door arrangement with wall street where they make a regulation, then join private bank to use the loophole or circumvent regulation. In the end it is all the same - politician - banker - businessman nexus that takes money that has the public as backstop. again, robust regulations and oversight and a climate of zero tolerance for scams is the best hope.